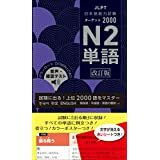 Last July, I took the JLPT (Japanese language proficiency test) Level N2 and, without blowing my own trumpet too much, I smashed it. I'd only been studying Japanese for 2 years as well! So I thought I'd do a post on my JLPT experience, and how I studied for it. The test lasts quite a long time, but there is a break in between the reading test and the listening. Something that really surprised me was that there was no big clock in our test centre- you had to bring your own watch. When you sign up for the JLPT online, there will be a list of rules, and I think the rules are also on the ID card that they send you in the post. In Japan there are tonnes of different test centres and they try and place you somewhere that's close to the address you registered. I was in Umeda, but some of my friends were at Osaka university. If you're in the UK, you have the choice of SOAS in London or the University of Edinburgh. Start early- book the JLPT a few months in advance and plan your study sooner rather than later- language is hard to cram, especially when you get to N2 and above- cramming thousands of Kanji and grammar patterns isn't going to happen. 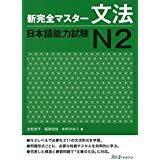 There is no official Kanji list, or vocab list- all the study materials are made by analysing what has come up in the past. So there is no way of knowing "all" the things that could come up, sadly. Practise listening and conversation as much as you can! Watch Japanese TV, Youtube, anything. You need to have confidence, I found the listening significantly easier than the other sections- and I think it's because of all the drama I watch. Doing practise papers and practise questions is definitely a good idea- some of the questions are a leetle tough- like arranging parts of the sentence in a different order. If you already know how the questions work, you won't have as many problems (hopefully). 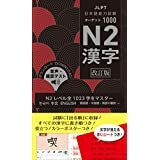 There are some sample questions on the JLPT website, and they also recommend some of the official practise workbooks. 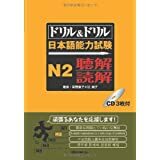 There are tonnes of different books around, so I'd say just buy one grammar, one kanji book, one vocab and maybe a listening one too if you're doing self study. Have a flip through a few different books and see which format you like. I'm not saying the ones I used are the be-all and end-all, but they were the ones I used and they were pretty helpful to me. Another thing to point out is that I also had Japanese classes, if I was studying on my own I'd probably have got a few reading comprehension books as well. Also, the main textbook I used in class was one Osaka Uni made specifically for us, but I've heard 中級へ行こう is pretty good? 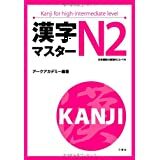 The JLPT website also has some recommended materials like practise questions. Thanks for reading! I hope this was vaguely helpful. To any of you taking the JLPT, best of luck!! <3 You got this!